Mounting light formers on flash devices withour bayonet: Very easy with the walimex Bayonet Adapter. 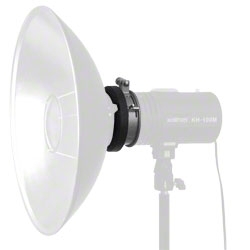 The Adapter is suitable for all flashes with integrated reflector and without mounting fixture, such as walimex M series, Proxistar series and other devices with approx. 9,5cm diameter. 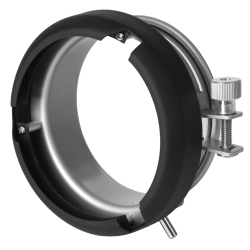 Thanks to the flexible clip and the integrated clamping technique, the Adapter can simply be attached on your flash head. Once mounted to your flash, you can fix light formers (e.g. 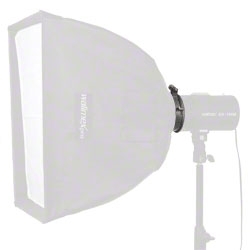 softboxes, spot fixtures, etc.) 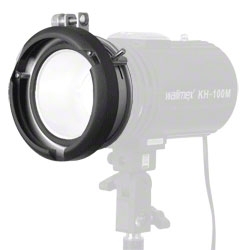 with the following connections: walimex pro VC, walimex RD, Aurora, Bowens and Rimelite. 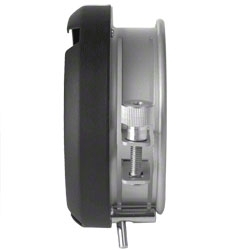 Your accessories can be mounted securely with the locking lever. 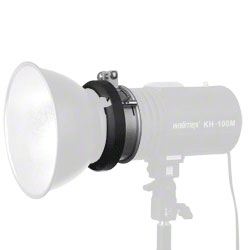 Therewith such an unimpressive accessory can bring out much more from your “small” flash devices.